My profession is inseparable from my life. I love helping others in any way possible and love seeing everyone happy. Dentistry allows me to do two things that I love the most: meet new people and help people. The thing that excites me most about my work is learning about my patients and connecting with them personally. 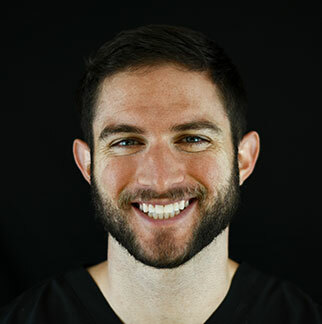 Few things are more gratifying to me than connecting with my patients, and then providing them with the dental care they need. I enjoy knowing that my patients trust me and will do what I can to maintain that trust. I attended Conway High School followed by attaining a Bachelor of Science Degree in Chemistry at Hendrix College in Conway, AR. After graduating from Hendrix, I pursued my Doctor of Dental Surgery at the University of Tennessee College of Dentistry in Memphis, TN. I am passionate towards learning and furthering my knowledge. I enjoy attending conferences and educational seminars so that I can stay current with the newest and best techniques available for my patients. I also subscribe to multiple online seminars that keep me up to date on the newest services in a field that is continually changing. I decided to make Fayetteville my home because my twin sisters and their families live in Northwest Arkansas. They recently had children, and I want to be as much a part of their lives as I can. I love my family and want my niece and nephews to know who Uncle Connor is. When I’m not spending time with my family, it’s most likely that I’m watching or playing sports. I love the outdoors and attending Razorback sporting events. I played collegiate soccer for four years and I currently play in a city soccer league in Springdale and hope to keep playing soccer as long as my body allows. My other hobbies include hiking, swimming, boating, camping, fishing, and hunting. My passion for dentistry stems from humanitarian mission trips I have had the opportunity to be a part of in the past. I whole-heartedly enjoy helping others, which is what attracted me to the field of dentistry. I also love volunteering within the community and attending church. Giving back to the community is extremely important to me because that is how you inspire others to make the world a better place. It may sound cliché, but the people who have inspired me the most in my life consistently give back in numerous ways.